Do you wonder how copyright and fair use works? Do you need to know how to cite a website in AMA citation style? Do you need help with time management and study habits? Look no further because the Library Guides are here. 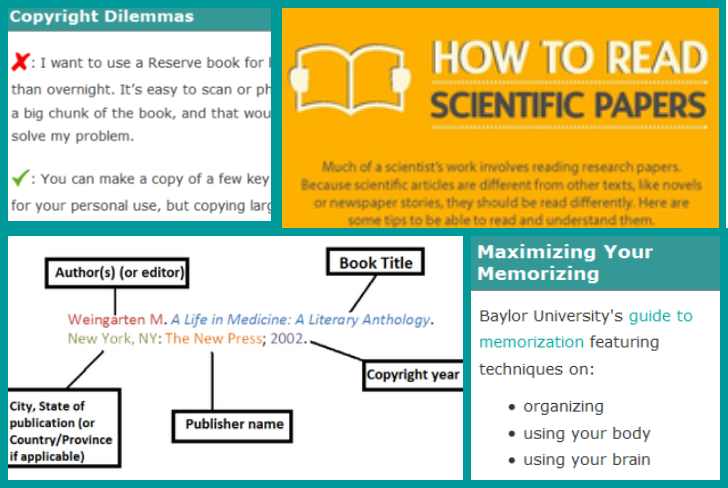 Over the past few months, the library staff has been creating guides to help you in your studies. 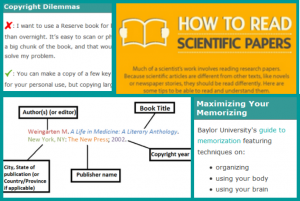 The subjects of these guides range from test anxiety and essay tips to copyright and fair use. The four library guides that we are debuting today are AMA Citation, Copyright for Students, Test Taking Tips and Study Skills. Keep an eye out for more guides that are on the way!